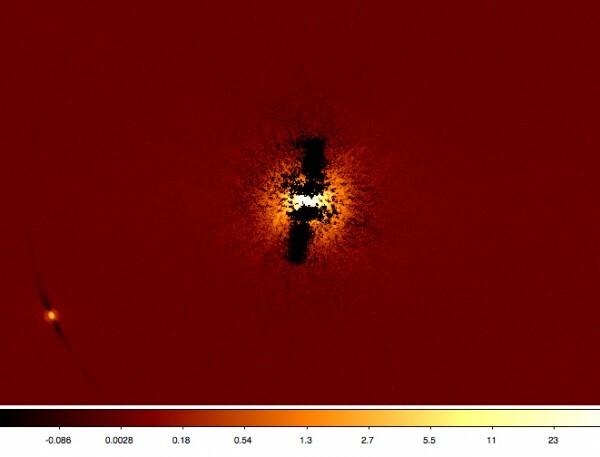 In an article published in A&A early January, a team led by Christophe Lovis of PlanetS shows that it would be possible to analyze the atmosphere of Proximab, the exoplanet closest to Earth, using existing instruments. The discovery last August of Proximab, the planet orbiting the closest star to the Sun, had caused a sensation. Indeed, this planet could resemble ours, it is a little bigger (1,3 earth mass) and is located in the habitable zone of its star. The question that immediately arose was whether this planet had an atmosphere and in this case what its composition was. A question that should be lifted with the commissioning of giant telescopes like the ELT in a few years. The question so much fascinates astronomers that some do not have the patience to wait for the advent of these instruments. This is notably the case of Christophe Lovis, a member of PlanetS, who wanted to know if the discovery of an atmosphere and the determination of its chemical composition was possible with existing instruments. In his paper published in A&A the author demonstrates that by combining the SPHERE imager that is already installed on one of the VLTs with the ESPRESSO spectrograph which will be available this autumn on the four VLTs, it is possible not only to know If Proximab has an atmosphere but also to have an idea of its chemical composition. The idea presented in the article is to place a fiber on the image of the planet obtained by SPHERE and to inject its light in ESPRESSO to obtain the spectrum. According to the calculations of the author it would be possible to detect the presence of the oxygen which remains the main signature of a possible presence of life. A detection that requires however sixty nights spread over three years.